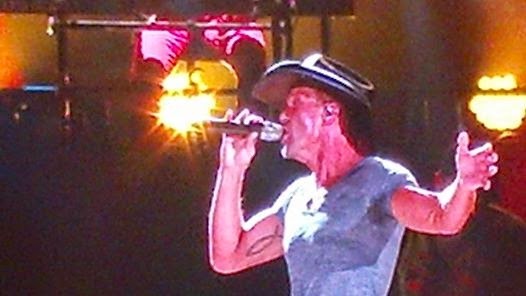 Hello, I just returned home from seeing Tim McGraw in concert. This was my second time seeing him and wow, he was amazing! So much fun and he puts on a great show. I told you there were link party changes coming up. Starting next week ( I think ) I will be joining other bloggers to do a group link party event. This means that your links will be seen my lots more people :). the party will be changing to going live on Tuesday nights. I will have more details soon! 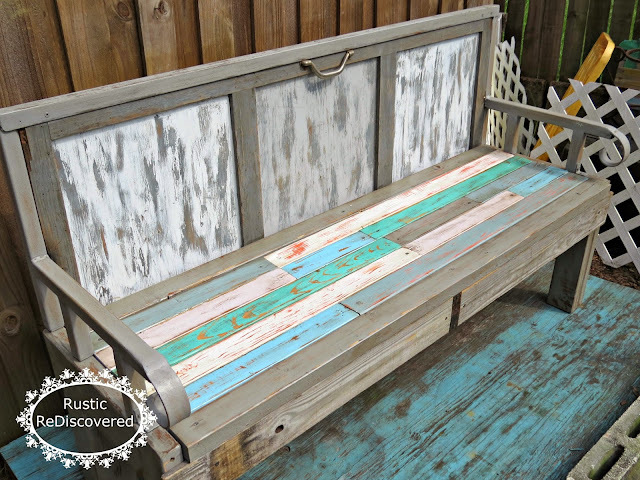 And how about this bench from Rustic Rediscovered? Thank you for the party and for featuring my Vintage Lid Towel Hooks! I linked up and can't remember if I shared this post before. I hope I didn't! I´m really sure you had a great time at the concert!!! You are a lucky girl, Becky. I'd love to see Tim in concert one day, sigh. Thanks so much for hosting the party! Sounds like an amazing concert! I saw Faith & Tim years ago in their Soul2Soul concert. I won the tickets off of my country radio station in Nevada where I lived at the time. We even got VIP seats. It was awesome. My husband even enjoyed it & he doesn't like country music. I have to say though that my favorite concert was going to see Alan Jackson at the M Resort. My boys treated me to that one for my birthday about 6 years ago. Love your blog. Thanks for sharing. What a pleasant surprise to be featured! Thanks!